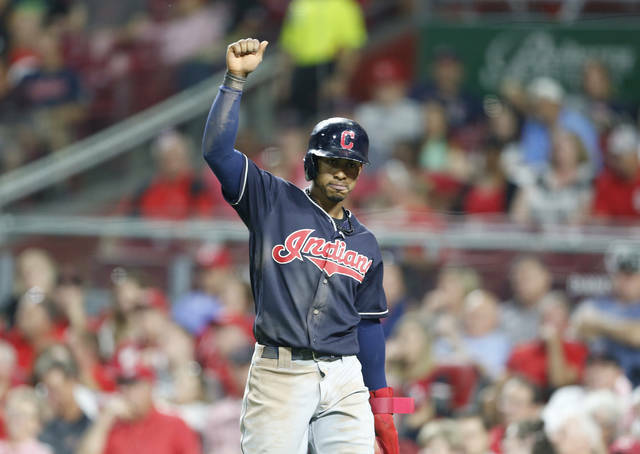 Cleveland Indians’ Francisco Lindor reacts after scoring on a single by Melky Cabrera, off Cincinnati Reds relief pitcher Amir Garrett during the sixth inning of a baseball game, Monday in Cincinnati. 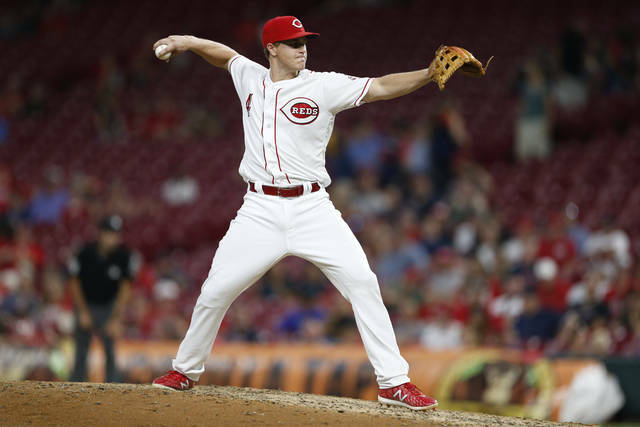 CINCINNATI (AP) — Jose Ramirez connected for his 35th homer and Yandy Diaz hit a tiebreaking RBI double in Cleveland’s seven-run sixth inning, helping the Indians pull away from the Cincinnati Reds for a 10-3 victory on Monday night. 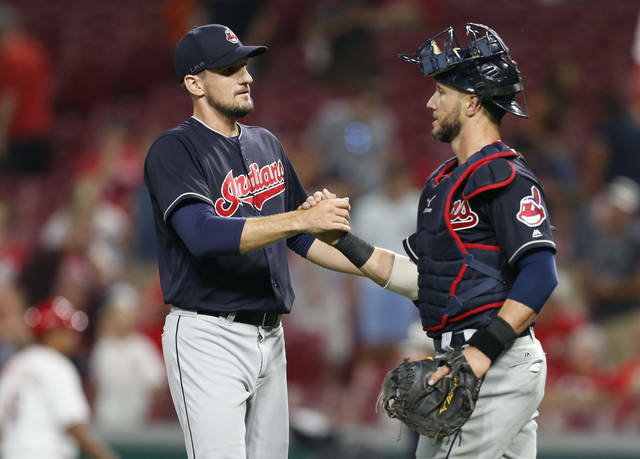 https://www.limaohio.com/wp-content/uploads/sites/54/2018/08/web1_121141441-446dbca8eb58489eaf7beed3a2a313df.jpgCleveland Indians’ Francisco Lindor reacts after scoring on a single by Melky Cabrera, off Cincinnati Reds relief pitcher Amir Garrett during the sixth inning of a baseball game, Monday in Cincinnati.